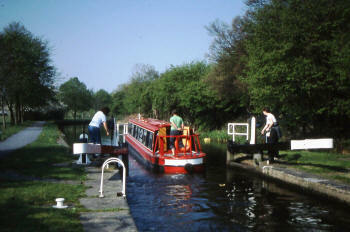 This route includes a short section of river navigation. 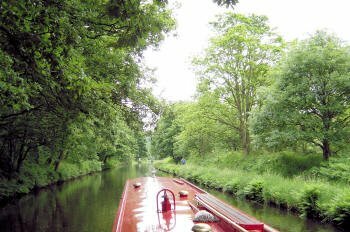 In normal conditions the rivers are placid but in prolonged wet weather they can flow too fast for safe navigation. 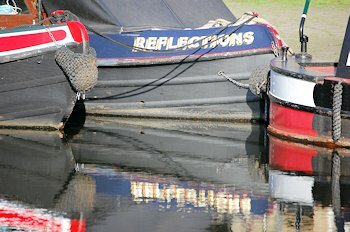 In such cases boats wait at safe moorings while flood water recedes - usually quite quickly. 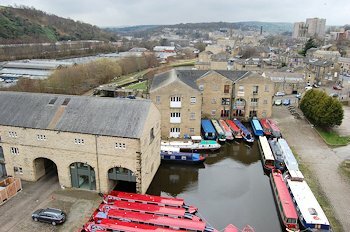 Next day you head down, past glimpses of lakes, to Brighouse, a busy small town with interesting shops and a Sainsbury's with its own moorings and of course good pubs and restaurants. From Brighouse you go down into the River Calder, and pass under a towering motorway viaduct. 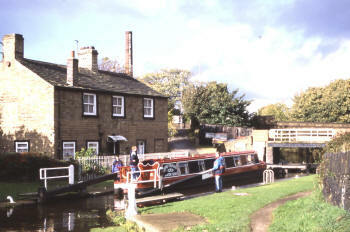 A couple more locks take you back into the river, then bear right into the forgotten world of the Huddersfield Broad. This stil has a taste of how urban-industrial canals used to be, but the hissing pipes and intoxicating (in some cases literally) smells have given way to creeping greenification, and the canal passes through an attractive park and an amazing lift bridge (sadly, you miss the rush hour) before emerging quite suddenly by the ever-expanding University. 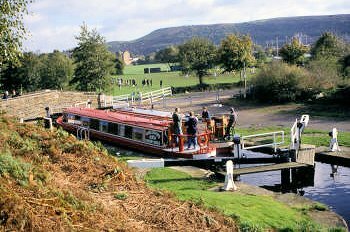 Your moorings are very close to the city centre, so you can easily do the extensive shops as well as innumerable pubs, clubs and restaurants. Don't miss the stunning railway station, outside which you will find Harold Wilson. Turn here and head back most of the way. Take in more details of this historically important navigation, significantly older than most of the canal system - partly designed by John Smeaton, of Eddystone Lighthouse fame. You have splendid views of the hills. 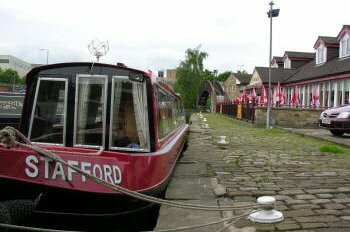 At the top of the last lock, detour right along the short Halifax Arm, and overnight here (Brewer's Fayre and ordinary pub). 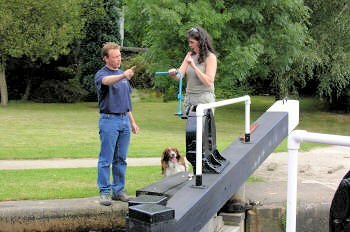 This trip has quite intense boating and longish days, but gets you to the night life in Huddersfield - and requires the crew to be fit for a long day's boating on Sunday!